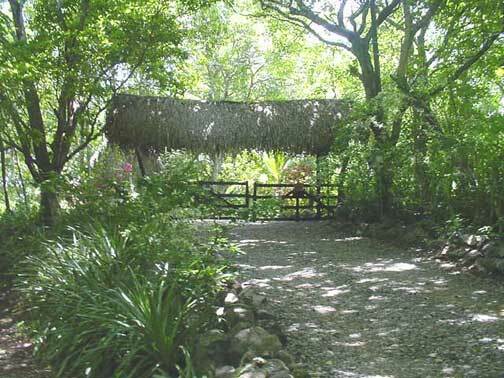 The secluded Tree Tops Bed and Breakfast is part of a 17 acre estate, known as Plantations, which overlooks a pristine white sand beach. 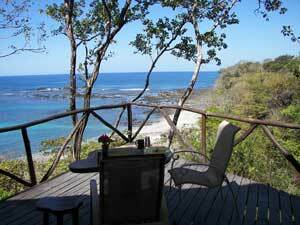 We are located on the edge of the small fishing hamlet of San Juanillo in the Guanacaste province on the Pacific Ocean coast of Costa Rica. We are just a short distance from the Ostional National Park and Wildlife Refuge, a sanctuary for the Olive Ridley and Leatherback sea turtles. 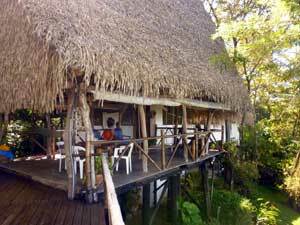 If you are looking for accomodations on the Nicoya Peninsula near Ostional, Nosara or San Juanillo come stay with us at the Tree Tops Bed and Breakfast. 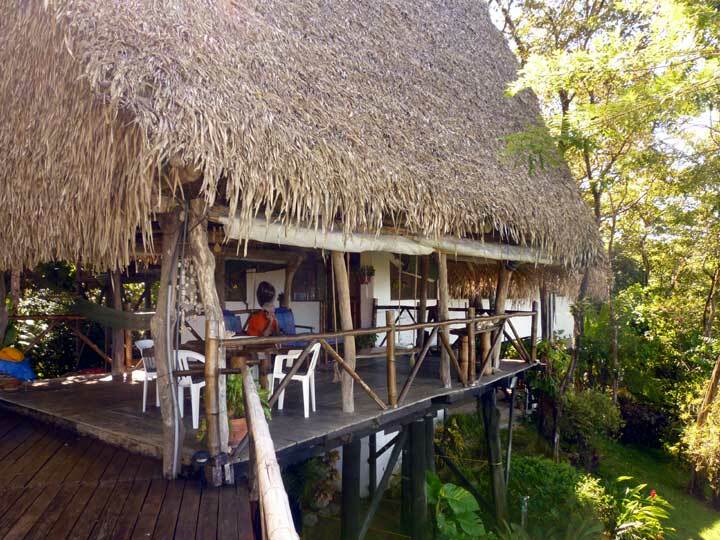 Tree Tops Bed and Breakfast is a very unique, romantic way to experience Costa Rica. We have one ocean front guest room which is the ultimate in privacy and allows us to offer you exceptional service and personalized attention. It's like having your own tropical beach house. Enjoy breathtaking views of the Pacific Ocean and the unspoiled white sand beach below while relaxing under the covered terrace or soaking up the warm sun on our open deck. When selecting your accomodations in Costa Rica you often have to make a decision to be close to the beach with not-so-great views, or to have a great view and be not-so-close to the beach. Why choose? At Tree Tops you can enjoy spectacular views and you are just a stones throw away from an exquisite white sand beach. 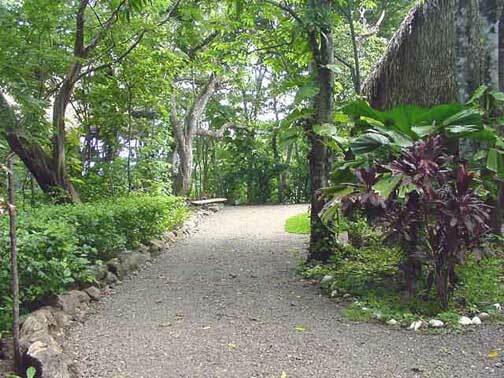 Come stay with us and enjoy all that Costa Rica has to offer you!